You may have seen the email over the weekend from AIR MILES but if not the news came out officially today. This is good news for those of you using the Cash Rewards options from AIR MILES. The daily cap that was lowered earlier this year because of some fraud issues has now been raised so that you can redeem more of your miles in a day. Obviously AIR MILES has looked at the data and seen that their fraud prevention efforts seem to be working well enough that they could raise the cap. Today the AIR MILES Reward Program is announcing it is adjusting the daily cap for in-store AIR MILES Cash redemptions to $100 (950 Cash Miles), effective immediately. The cap for in-store redemptions at Shell is $60 (570 Cash Miles) per transaction. Gift cards and near-cash products will continue to be excluded. The AIR MILES App has been updated with a mandatory PIN at sign-in and the ability to lock and unlock AIR MILES Cash balances directly from the App. The Program has made enhancements to www.airmiles.ca including the requirement for PIN as well as entering a captcha code to view Account balance. 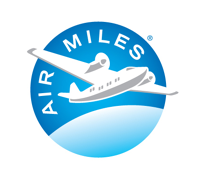 AIR MILES continues to have comprehensive fraud monitoring processes and procedures within their dedicated Anti-Fraud team. The biggest issue that we saw and raised concern about was the ability in the past that anyone could input any AIR MILES number in to the AIR MILES website and see the balance for that account. That in turn could have led to people using that particular number at in-store Cash Redemption partners fraudulently. Now with the PIN requirement AIR MILES account balances aren't open to any one but just yourself. Also by excluding gift cards and near-cash products you also deter fraud as most fraudsters aren't going to go out of their way to try to redeem someone's AIR MILES for their own groceries or gas. Overall this is good news for AIR MILES collectors who utilize the cash rewards option as now you can save yourself more cash should you have the balance to do so.